Welcome to the new era of playing your favorite video games on a massive screen. 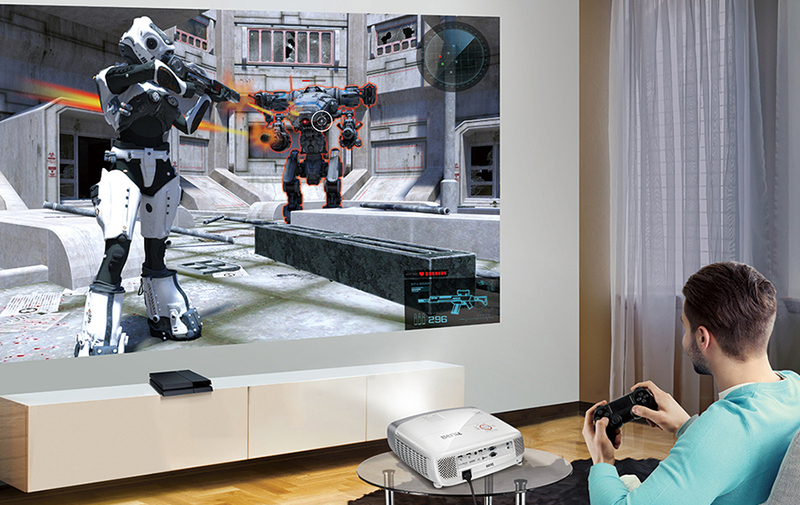 BenQ W1210ST lets gamers enjoy a brand new experience with ultra-low input lag for smooth gaming with specially designed Game / Game Bright modes that bring out every detail in any ambient lighting. 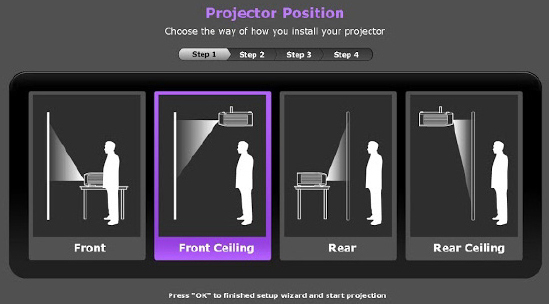 Thrill to built-in dual 10W speakers powered by CinemaMaster Audio Enhancer for hyper-realistic gaming immersion made possible by superior short throw projection that casts a 100” picture from just 1.5 meters away. Savor W1210ST’s breathtaking Full HD 1080p visuals with 6X RGBRGB color wheel for lifelike colors precision calibrated for gaming. 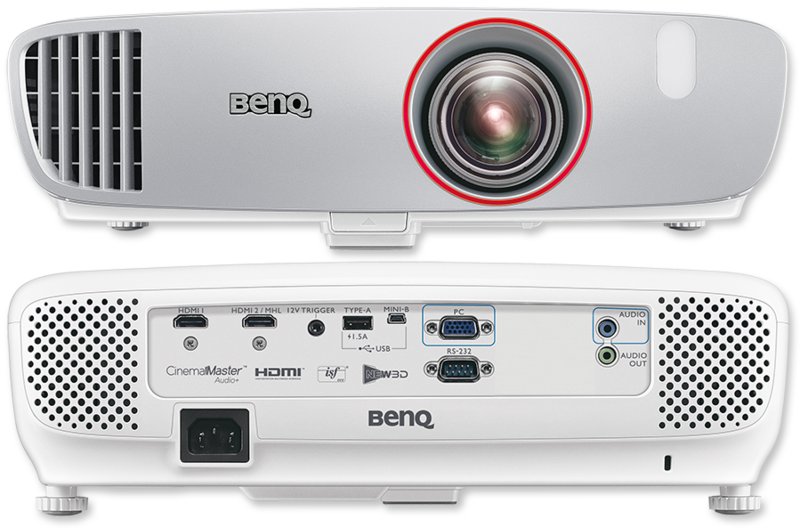 Conquer the competition with BenQ W1210ST for total visual and audio enjoyment unlike anything you’ve ever experienced. 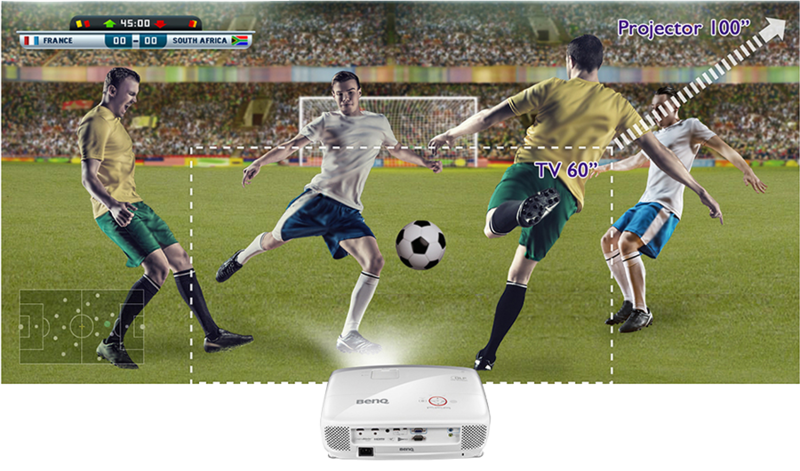 Video response is the most crucial criteria for gamers, and W1210ST is the world’s first gaming projector with 16.67ms low input lag. Experience the breathtaking thrill of racing games and swiftly react in sports games without delay. 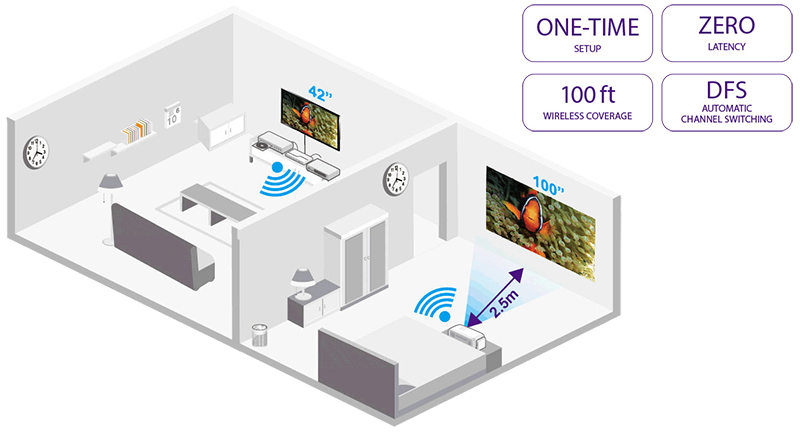 W1210ST also boasts microsecond DMD pixel response time to avoid unwanted motion blur, so gamers can wave goodbye to insufferable lag and say hello to full gaming enjoyment with our advanced low input lag technology. 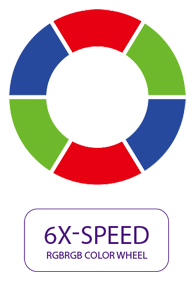 Whether you’re playing on Xbox One, PS4™ or Wii U™, you’ll be blown away by the complete control of fast response, especially noticeable in timing-critical games like racing, where precise acceleration and braking inputs put you in the lead. 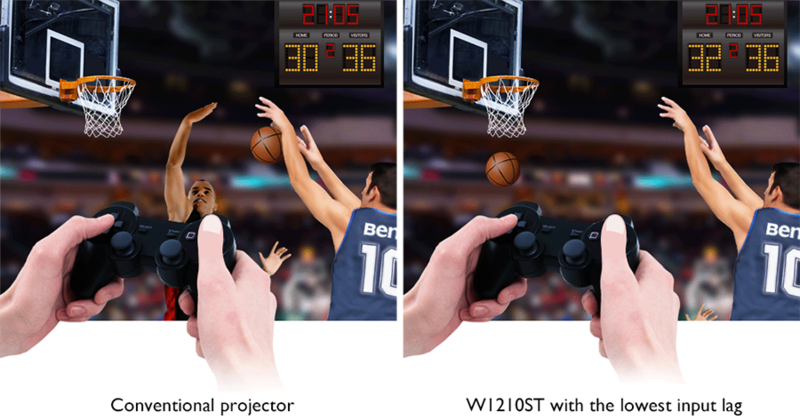 BenQ fast response can even make the difference in making a last-second shot to win the game, putting you into intense heart-pounding action instead of merely playing a game. 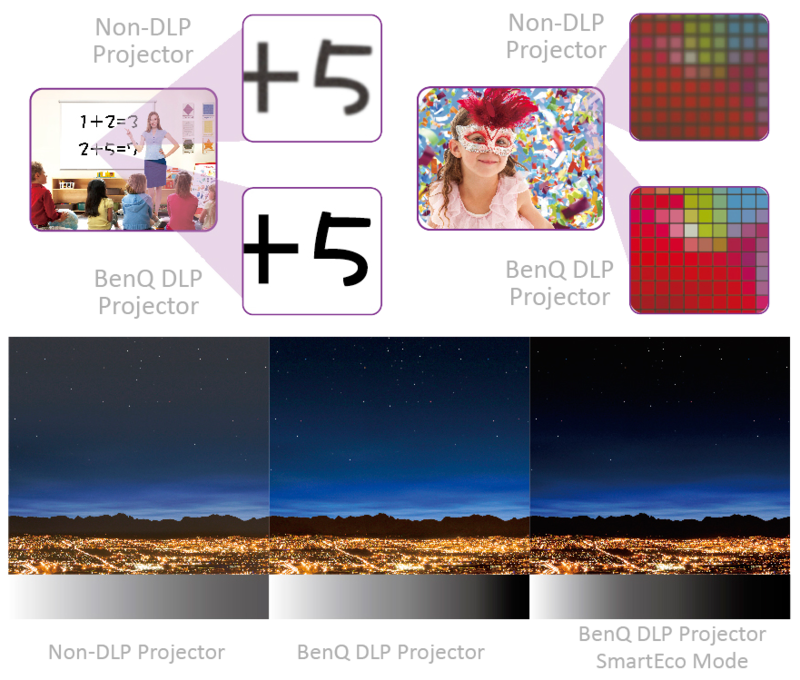 The DLP chipset comprises an array of highly reflective aluminum micromirrors swiftly tilting back and forth to change the angles of light reflection to produce images 1000 times faster than 3LCD technology. 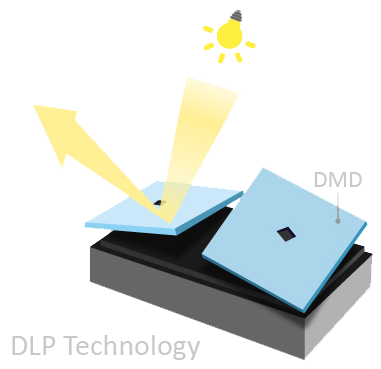 3LCD panels contain thousands to millions of liquid crystals which are aligned in open or closed positions to allow light to pass through, projecting images screen. 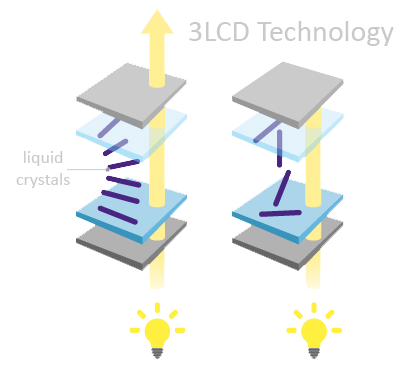 These liquid crystals require applied voltage to modulate and take more time to action.